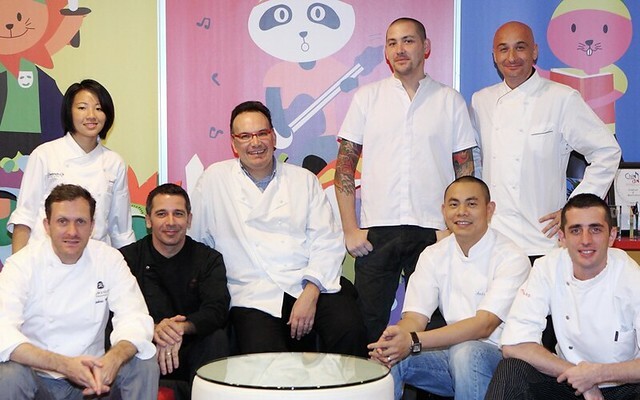 De Dietrich is presenting a charity cooking marathon featuring some of the most prominent chefs in Singapore. The Celebrity Chefs Charity Cookathon will benefit the Little Arts Academy (LAA) which provides professional training to children in dance, arts, theatre and music. Watch each chef whip up a dish based on their childhood memories. And you will be able to taste it afterwards in an 8-course degustation meal. Guests will also receive a limited edition autographed recipe book, share a cocktail session with the chefs and photo-taking opportunities. The cookathon will be at the St Regis Hotel on 28 Nov 2010 from 10am to 6pm. Only 150 seats are available. Ticket prices are at S$180 each, and all proceeds will go to charity (The Business Times Budding Artists Fund, of which the LAA is an initiative). Check out more details of what the ticket prices include, and how to register, on their Facebook page.